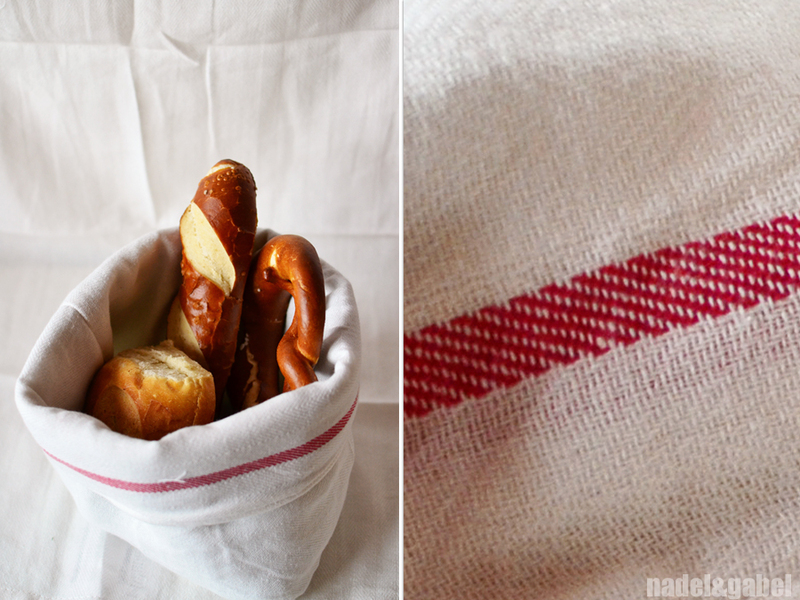 It was just lately when Alexandra presented on her blog some repurposes for tea towels (f.ex. gift wrapping) – especially for these as simple as stylish IKEA tea towels called Tekla (Elly is a great alternative, but was out when I’ve been there) … I must have walked past them each time I’ve been to IKEA! So, last time I went there, I took a bunch of Tekla tea towels with me. Their simple, rustic look brought pictures of a traditional Italian trattoria to my mind … and it was clear that it had to be some kind of food related sewing project. The first thing I sewed was this bread basket you can see on the pictures. 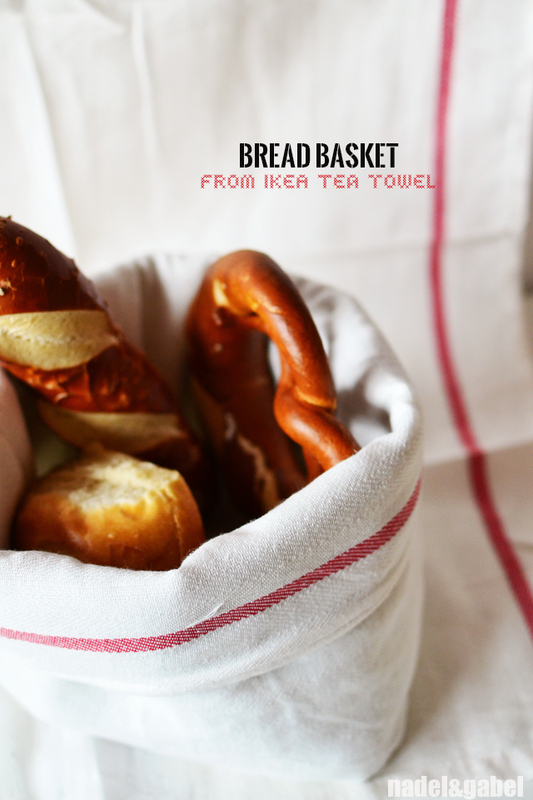 Already a while ago I had looked a bit closer at an IKEA fabric bread basket, and basically adapted the pattern. You can easily do this on your own. The trick: the bottom is not disk shaped but triangular. This gives the basket more stability (at least I think so…) and it looks just nicer. Interfacing does the rest for stability. 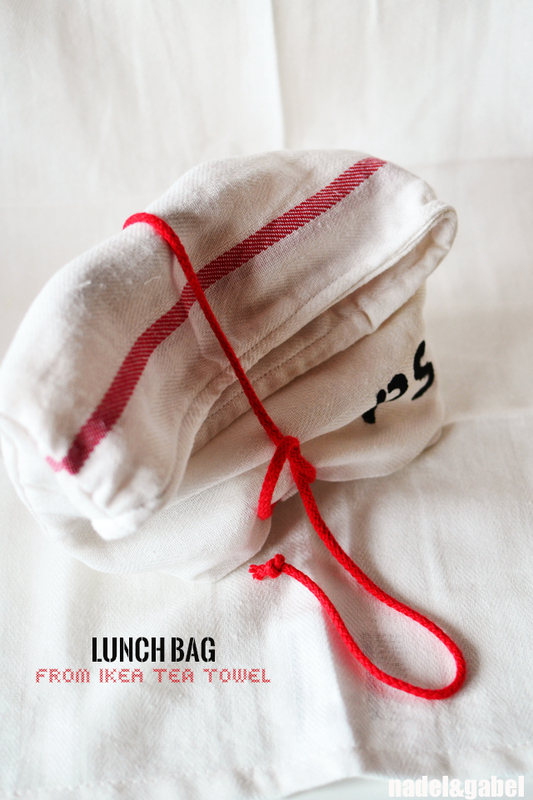 The lunch bag I sewed for … oh can’t tell this yet. But as you can see, the initials are painted on the front ;). I first had thought about sewing with oil cloth because it’s washable. But hey, you can wash these towels at 60°C in your washing machine. That should remove traces of possible lunch accidents! 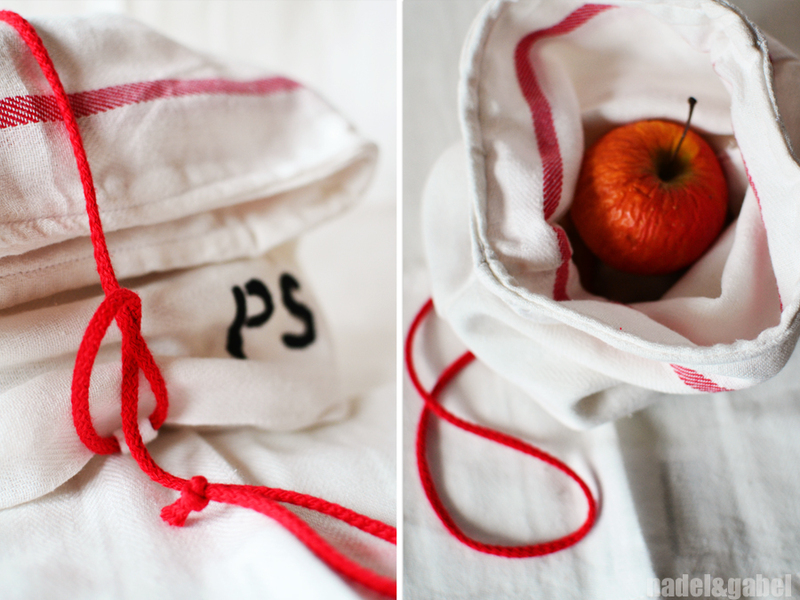 The sewing – it’s the most basic kind of bag you can imagine, shaped about 25 x 16x 8 cm. It consists of two fabric layers (exterior and interior). The corners are boxed a little bit for depth. And then it’s a small loop (I reused the one of the towel) and a cord. That’s it. 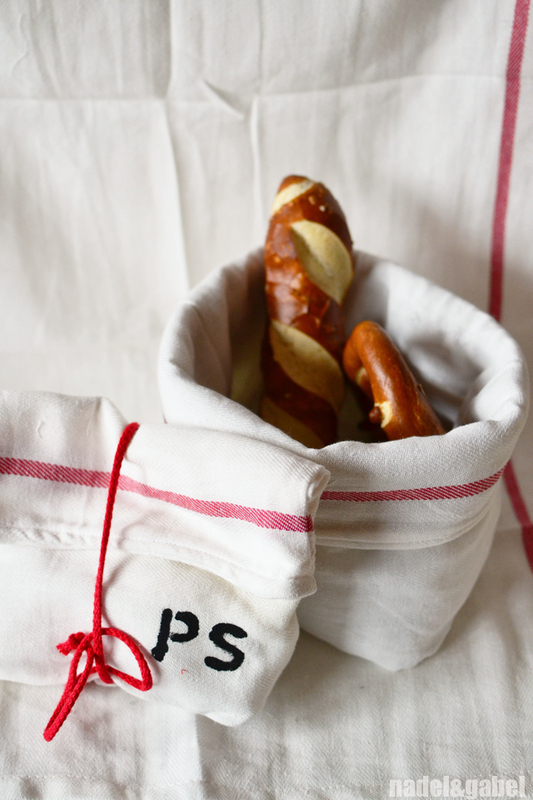 can you pass along some instructions on this bread bag? If I could find the instructions I wrote down for me 😦 …. give some some more time! Please look 🙂 thank you!